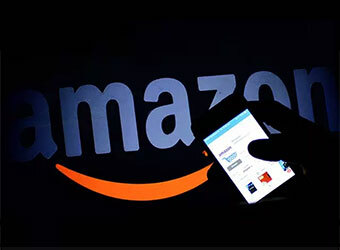 E-commerce firm Amazon.in has crossed one lakh sellers on its platform during April-June quarter, witnessing a seller growth of over 250 per cent year-on-year. "Since our launch in June 2013, we have been working extensively to meet different business requirements of sellers and help them grow business profitably online," Gopal Pillai, GM and Director Seller Services, Amazon India told PTI. "As a result, we have crossed 1 lakh sellers on our platform (during the April-June quarter) and are witnessing a seller growth of over 250 per cent year-on-year," he added. Seller initiatives include extensive education and skilling programmes, offering Fulfilment By Amazon wherein Amazon.in packs, ships and delivers products to customers, manages returns and does customer service on behalf of the sellers, and other assisted shipping services, he added. Amazon is also enabling sellers to sell in India but even globally giving them access to over 304 million active customers through the Amazon Global Selling programme. "Over 8,000 sellers in India are already selling to global shoppers under this programme," Pillai said. Amazon has 21 Fulfilment Centres, with more than 13 of them being opened last year across 10 states covering a total area of over 2 million square feet. Besides, Amazon is also facilitating easy access to secured and unsecured loans for its sellers between Rs 5 lakh to Rs 2 crore, through its partner Capital First.